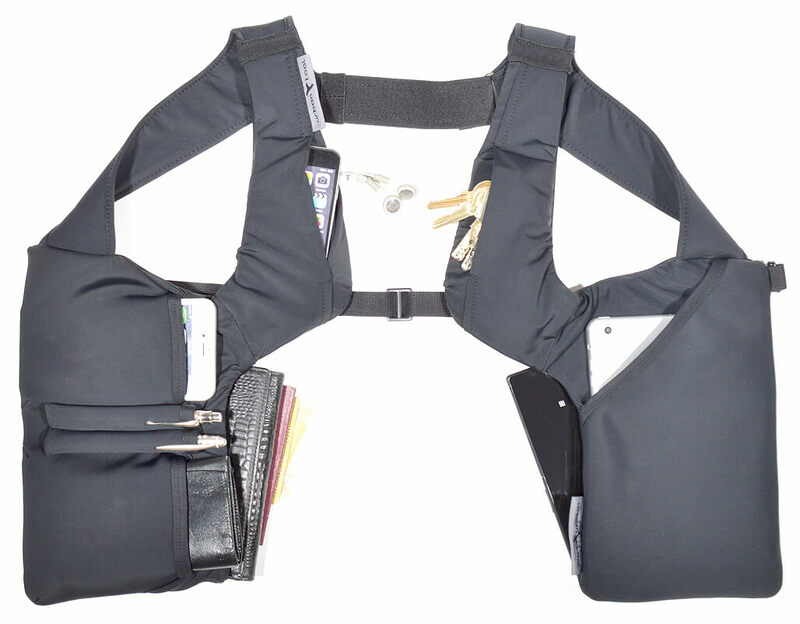 Ever wished to wear your iPad comfortable under your suit always at hand and securely saved? The new gadget vest 2017 edition is perfectly designed to wear the iPad 9.7´´ or the iPad mini in a vest like shoulder holster. 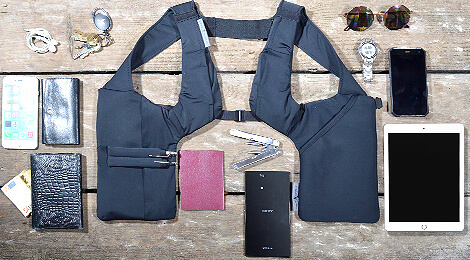 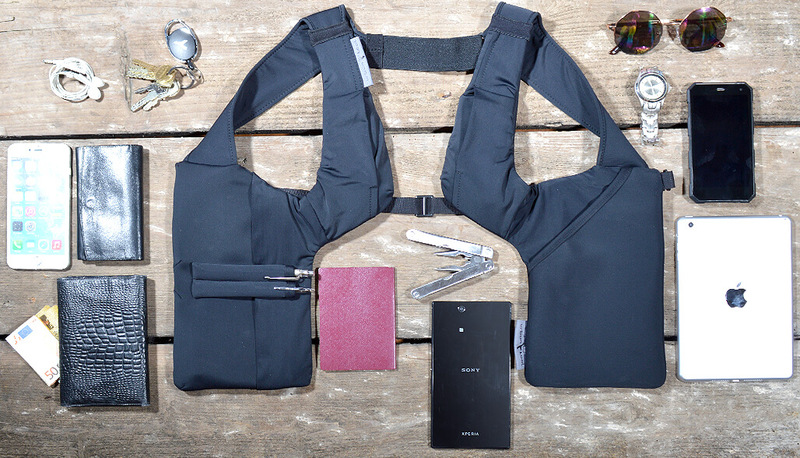 Several compartments for more gadgets 8-5´´, keys, wallet, pens and much more render the new vest a great everyday business gear. 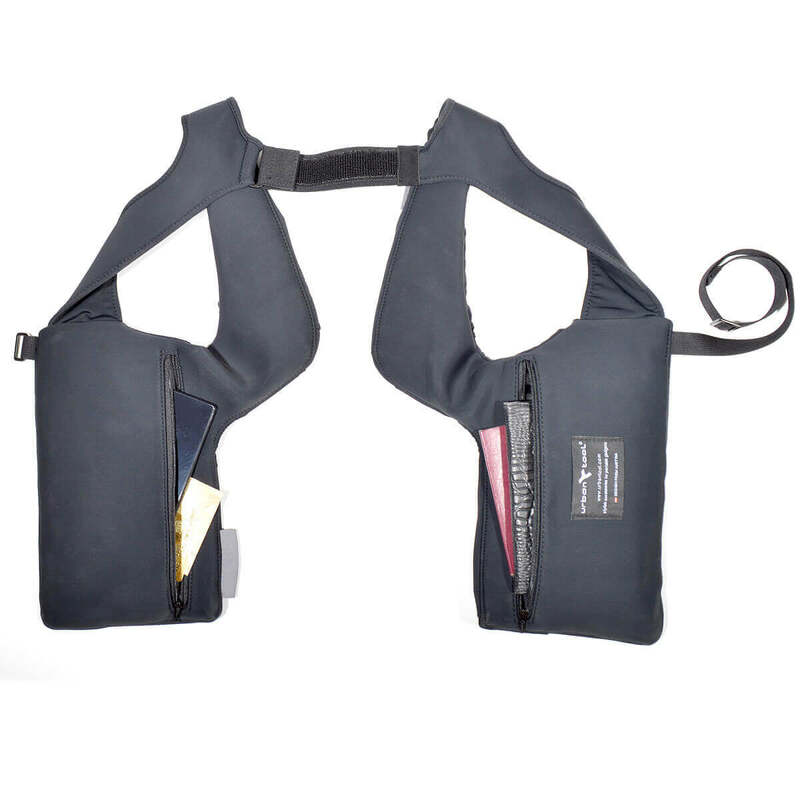 The elastic material holds all gadgets safe and ensures easy access. 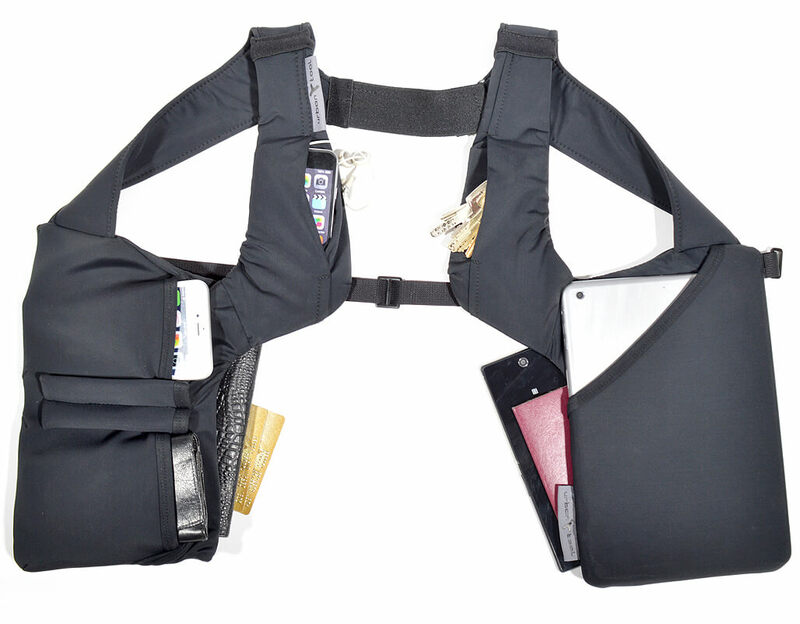 The key pocket has a retraction key yoyo, the compartments for wallet, smartphone close themselves with overlapping closings. 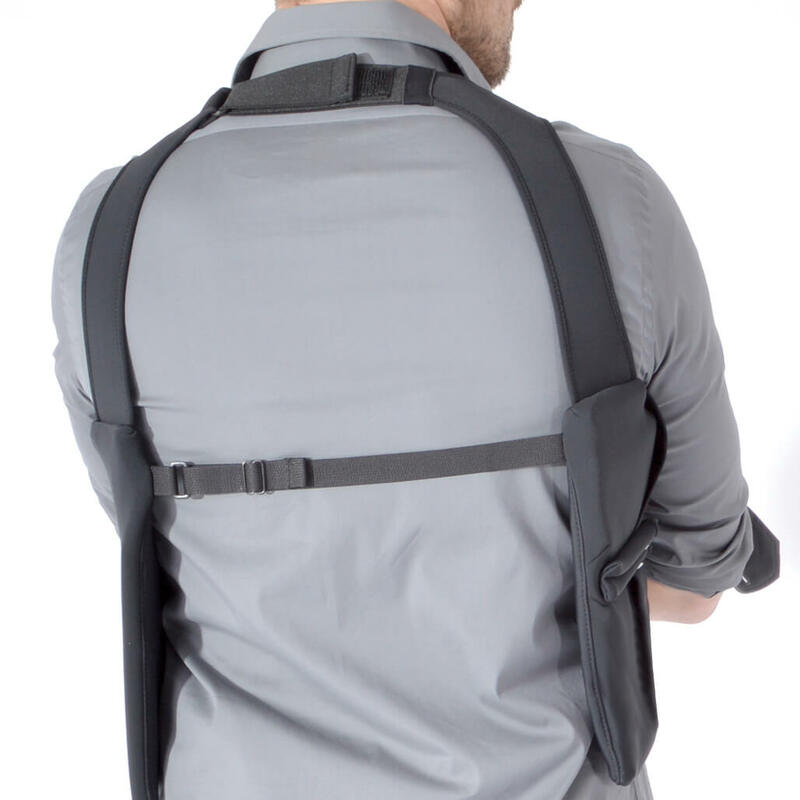 The ergonomic holster has a comfortable size adjustment on backside, an extra strap secures the tablet close to the body. 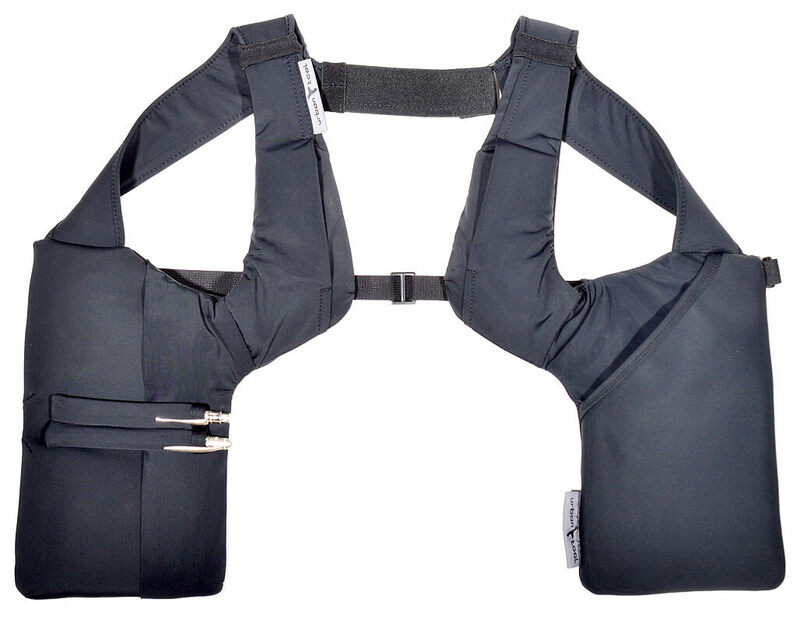 It is machine washable and made of skin friendly materials.